The artist house was a fully decoration project of a small penthouse at Baix Guinardó, neighborhoord in Barcelona. 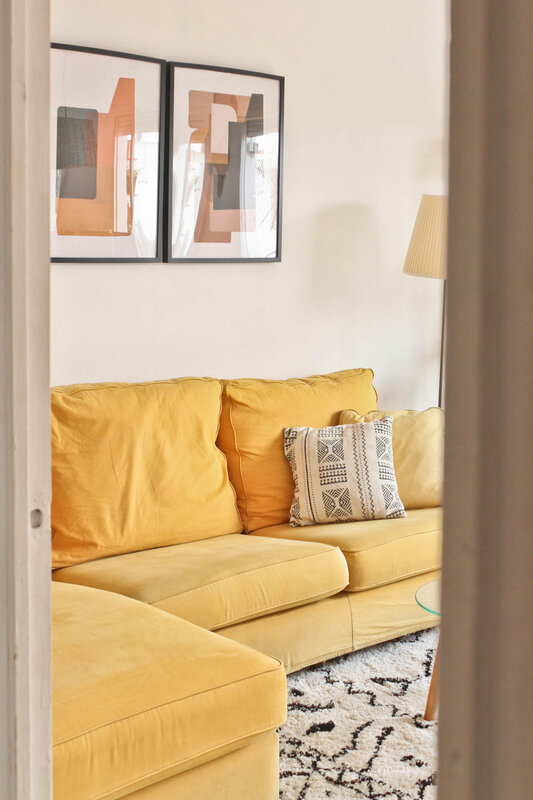 In the living room the most important feature was to maximise the light of the space with bright and luminous colours such as mustard yellow and whites mixed with earth tones, such as terracota. Also we incorporate the client's style by using ethnic pillows and rug and decoration from their trips to Asia. Some of the furniture were bought in antiquaries and second and flee markets to enhance the eclectic style of the house. The big mustard sofa was bought in antique shop, so you can see the pass of time. Clients like furniture that tells stories, that`s why we choose this model nut with a fully removable fabric. 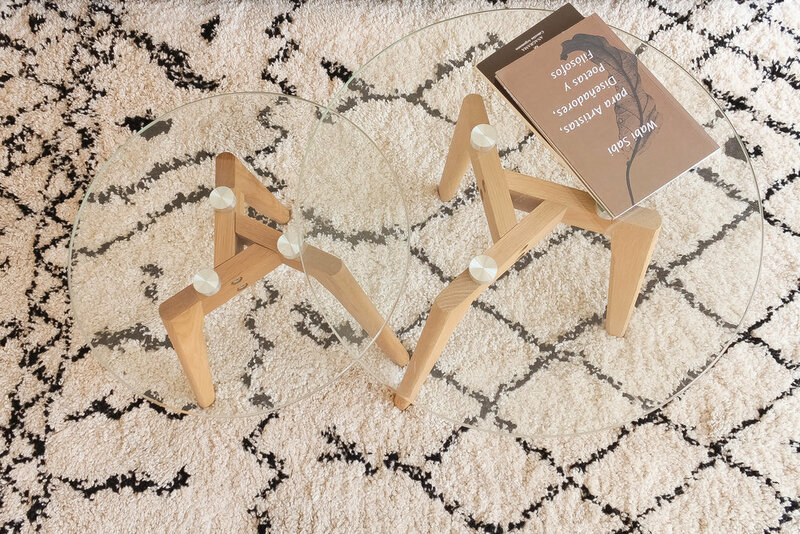 To have a complete decor we have a Bertoia chair, an triptych blade from the danish design company Ferm Living and a Beni Ourain rug. 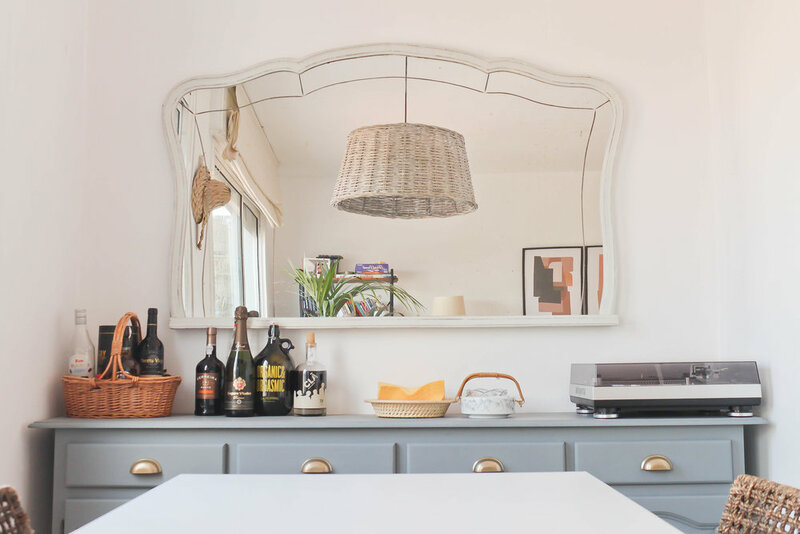 In the dining room we have a decapé old mirror, a very big cupboard with brass handles and a extendable tables which is very practical, since this couple loves to give big dinner parties to their friends. 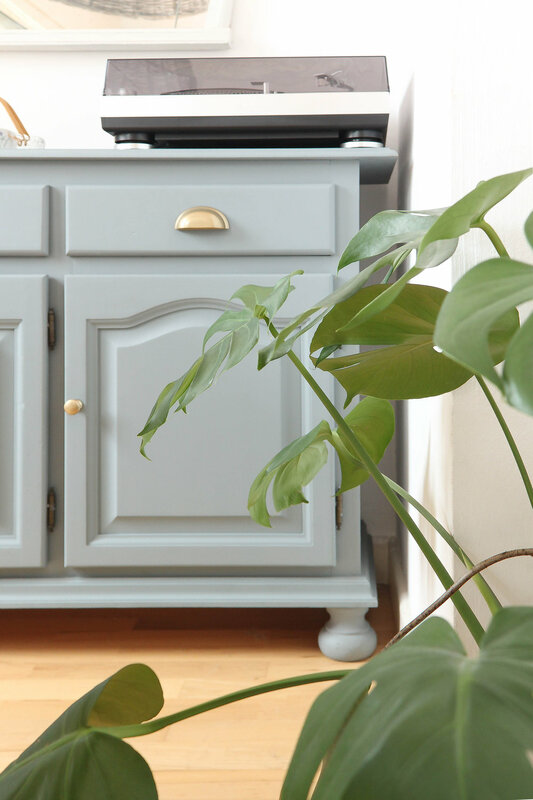 The houzz web community has written an article about this house you can take a look in the press area !